Tue., Jan. 10, 2017, 9:18 a.m. The entire congressional delegation from Washington is asking President-elect Donald Trump to make environmental cleanup of the Hanford Nuclear Reservation a priority. Hanford for years made plutonium for nuclear weapons, and now is engaged in a multi-decade cleanup of the resulting waste at a cost of some $2 billion per year. 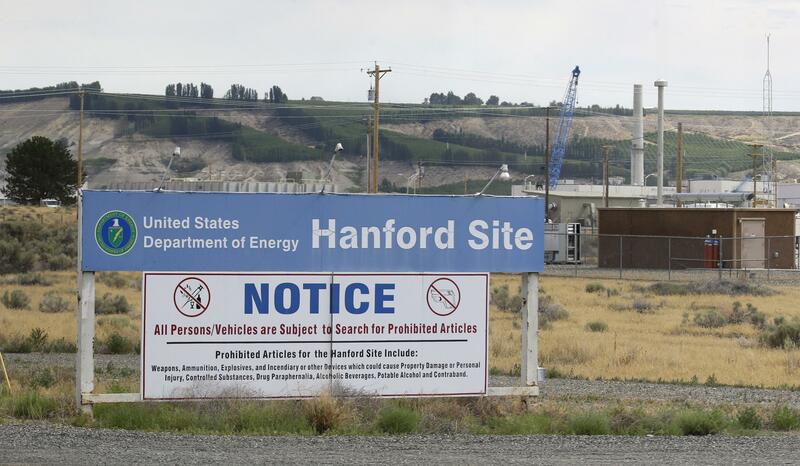 Both of Washington’s senators and all 10 members of the House of Representatives sent Trump a letter on Monday asking him to support the cleanup that employs some 9,000 workers at Hanford, located north of Richland. “This work is essential to protecting the health and safety of the Tri-Cities community, the Columbia River, Washington state, and our nation from waste that was created from over 40 years of nuclear weapons production,” the bipartisan letter said. The letter noted that Congress and previous presidents have recognized the legal and moral obligation of the federal government to clean up Hanford, which contains some 55 million gallons of some of the world’s most dangerous radioactive wastes. “A critical component to this support is proper funding levels,” the letter said. Studies have projected that the Hanford cleanup will take decades to complete and that funding should be increased to $3 billion a year to achieve deadlines. The 580-square mile Hanford site was created during World War II as part of the Manhattan Project to beat Japan to the atomic bomb. During four decades, Hanford produced more than 65 percent of the plutonium for the nation’s nuclear arsenal. In addition to the 55 million gallons of radioactive waste stored in 177 underground tanks, the site contains thousands of tons of used nuclear fuel, huge volumes of solid radioactive waste, thousands of contaminated buildings, and contaminated soil and groundwater. The letter noted that the federal government is subject to legally enforceable milestones for cleaning up the waste through a consent decree with the state of Washington. Members of the congressional delegation said they look forward to discussing Hanford cleanup in more detail with the Trump administration. Hanford is managed by the U.S. Department of Energy. Trump’s nominee for energy secretary, Rick Perry, famously forgot during the 2012 presidential campaign that he wanted to eliminate the department. Published: Jan. 10, 2017, 9:18 a.m.